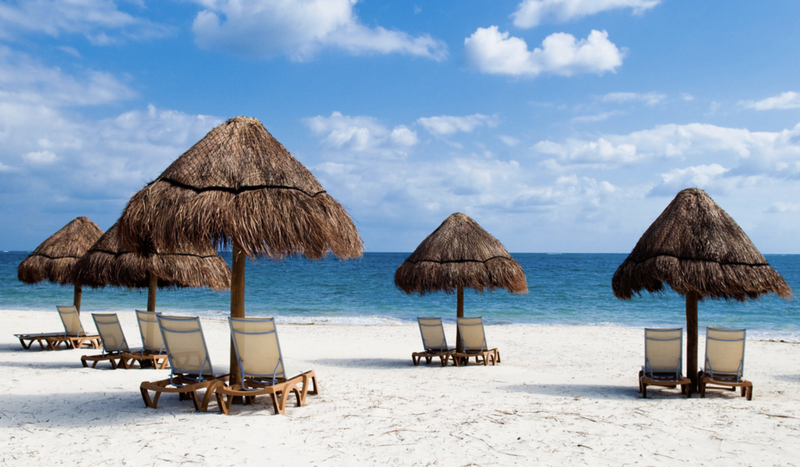 Includes roundtrip airfare, roundtrip CUN airport transfers and all inclusive hotel accommodations. *Prices are total for 2 people. Prices and availability are subject to change and are not guaranteed until completed through the booking process. 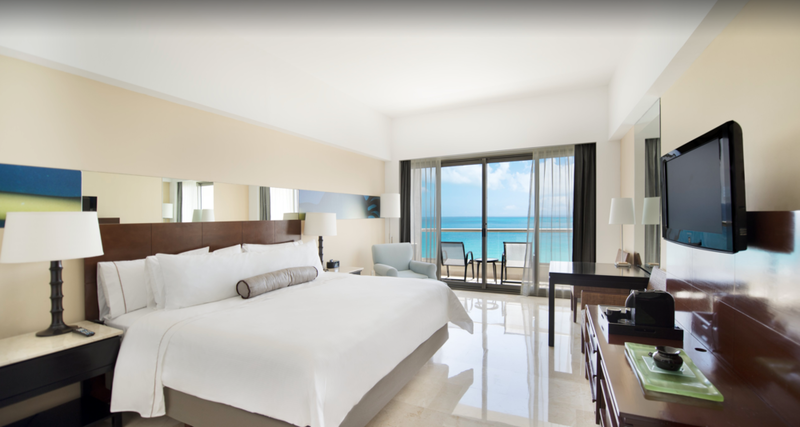 Live Aqua Cancun - All Inclusive: Blending contemporary architecture with sophisticated accommodations, this premiere hotel provides the perfect vacation getaway for active couples and luxury seekers alike. Enjoy refreshing swims in the unique pools, an extensive, first class spa facility, gourmet restaurants, superior amenities and stylish guestrooms include inspired amenities including Egyptian cotton sheets, flat-screen TVs, aromatherapy and pillow menus, Molton Brown amenities and private balconies with beautiful views. Next, spice up the night at the hotel’s fun-filled selection of bars, including a luxurious seaside lounge equipped with plush beds and stylish chaise lounges. ... and miles of beach. What does the all-inclusive include? - Alcoholic and non alcoholic beverages - domestic and international brands in all restaurants and bars are included. - Only "By-the-glass beverages, spirits, cocktails, sodas and beers. - Minibar including soft drinks, bottled water and beer replenished once a day. What restaurants and bars are onsite? Egos Bar- Located in the hotel lobby. Ambient chill-out and lounge music. AKA Bar: Spirits and a extense variety of wines and tequilas provide atmosphere to relax and enjoy Aqua to it's fullest. MB: Avant-garde cuisine offering a concept of New American Cuisine. Resort-chic dress code. Siete: Pop art fuses with contemporary Mexican high-end cuisine. Open for breakfast (buffet & a la carte) and dinner (à la carte). Azur: Beautiful view of the ocean and pools. Fresh and varied ceviches. Mediterranean - influenced seafood, pasta and snacks. 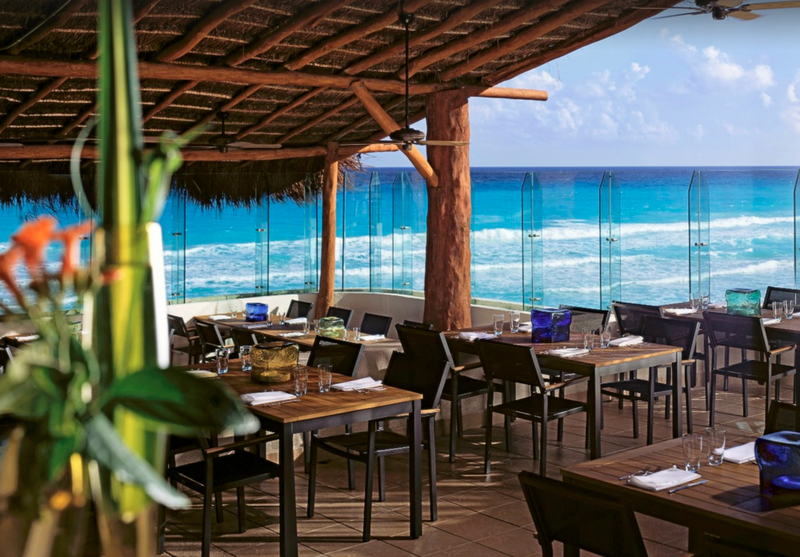 Sea Corner: This culinary experience features fresh tropical fruits & traditional flavors of the Mexican Caribbean. Unlimited ceviche, chips, tacos and tropical cocktails. Sushi Station: Simple & modern eatery offers Japanese sushi specialties. An outdoor terrace offers a great view to accompany the freshest fish around. Cafe Deli Boutique: Open-air terrace provides coffee & tea as well as scrumptious pastry or dessert. Inlaa'Kech Lobster & Grill - When the sun goes down and the stars rise over Cancun's famous shores, the scene at this exclusive restaurant starts to heat up. The sublime setting and refined ambiance set the stage for a dreamlike paradise that creates romantic moments you will remember for a lifetime. Menu highlights include fine steaks, lobster, kebabs, fresh salads and seafood, along with homemade sauces and marinades that make each dish a masterpiece. Enjoy a divine selection of house wines and wines from Mexico with your meal. And finish your evening with a French flambé by our maître, or surrender to the creations of pastry for a delectable dessert. Chef Manuel Sansores and everyone at In Laa'kech will create magical moments under the Caribbean moon. Reservations required. What activities are available onsite? There are 7 pools on site. This Property has Swim up Bars.